2,000 & 1,000 continues! 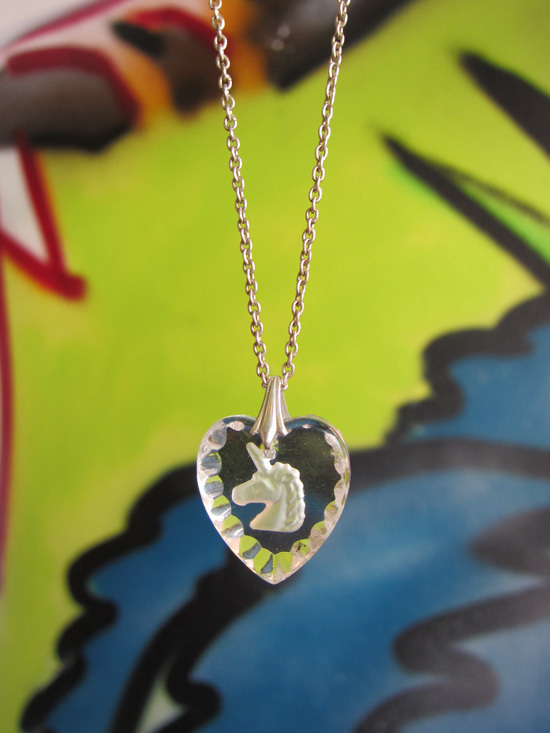 This time up one of you has the chance to win a vintage glass heart necklace with a silver chain from Hoochie Mama Jane! 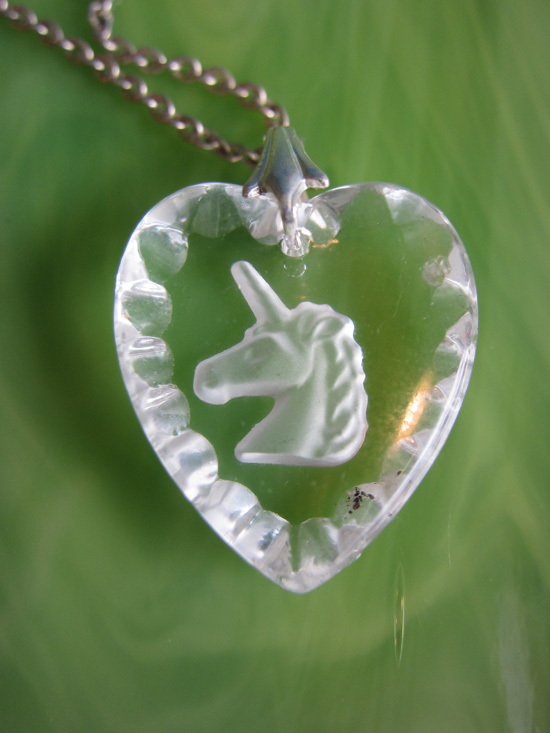 The glass heart has a unicorn carved into it - kitschy and fun! To enter the giveaway, you know what to do. Leave me a comment on this post and make sure you are reachable to me trough that comment It is one comment and one comment only per person, but if you do a shout-out and link to this post somewhere on the interwebs you may leave me another comment here, letting me know the link to said mention. The give away is open to anyone, anywhere! The winner will be drawn randomly in a week; on Friday May 20. Good luck & Have a nice weekend!